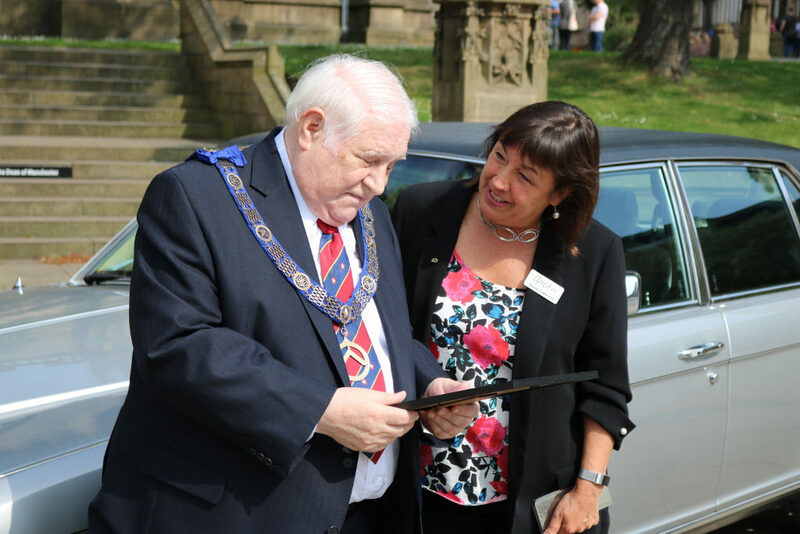 The Deputy Provincial Grand Master / Deputy President of the East Lancashire Masonic Charity was proud to present £5000 for ‘Lifelites’ to Simone Enefer-Doy, the CEO of that charity, and accompany her during the East Lancashire leg of a relay which is seeing her traverse nearly every Province in England and Wales, including the Jersey and Guernsey. This 14-day trip is aiming to raise the profile of Freemasonry’s support of Lifelites magical technology to every children’s hospice in the British Isles, and they aim to demonstrate this support by raising £50,000 for Lifelites technology donations to children in hospices. Many of the legs involved a novel form of transport. 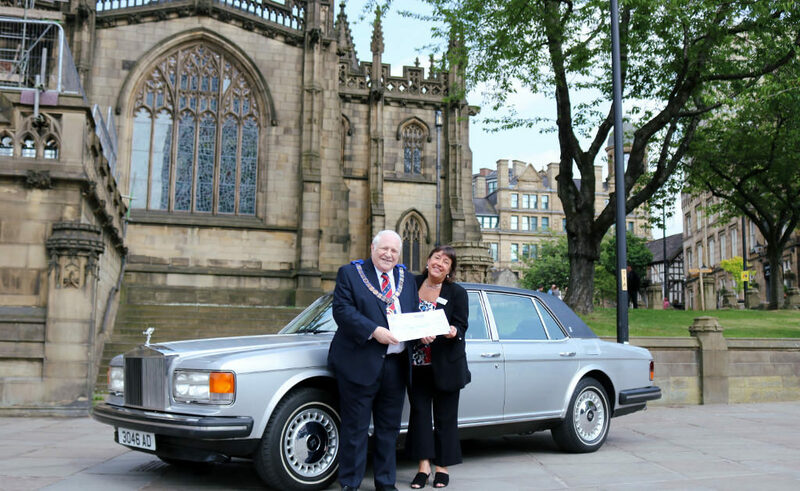 In our case we are grateful for the support of Nigel Johnson who chauffeured in his 1981 Rolls Royce Silver Spirit. 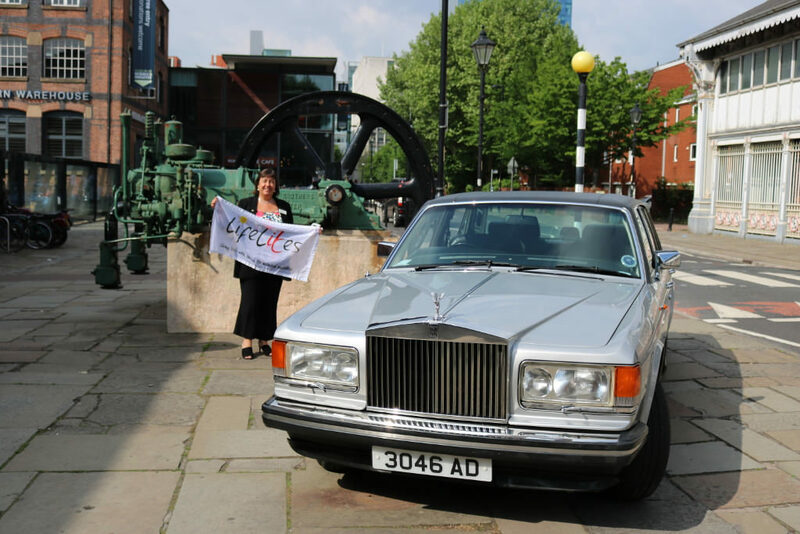 We met Simone at Manchester Cathedral and en-route to her destination showed her some of the sights of Manchester, including the Museum of Science and Technology. Lifelites was originally founded as a Masonic millennium project but is now a well-established charity, raising all of its own funds. They donate and maintain packages of assistive technology for the 10,000 life-limited and disabled children using every children’s hospice service across the British Isles. see: https://mcf.org.uk/lifelites/and https://www.lifelites.org/to read more about Freemasonry and Lifelites. Lifelites is the only charity providing packages of assistive and inclusive technology for disabled and life-limited children in each of the 60 baby and children’s hospice services in the British Isles. 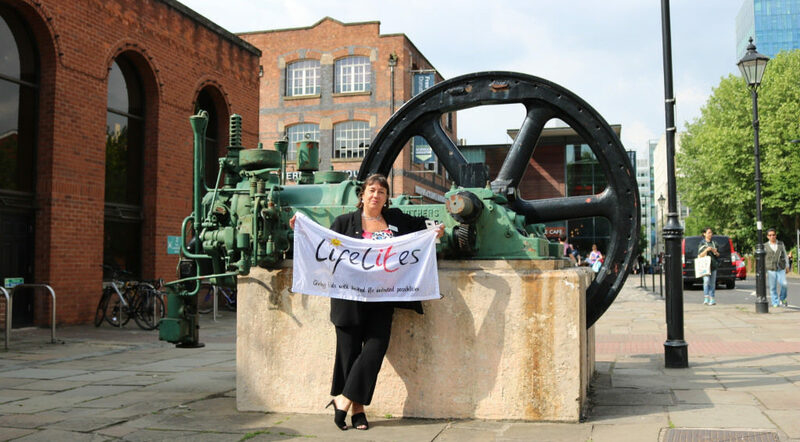 Lifelites does not ask the hospices for a penny towards its equipment or services. For children using children’s hospice services ordinary activities are often out of their reach. This can be very isolating, and many suffer from exclusion. By harnessing the power of technology, the charity gives approximately 10,000 disabled and life-limited children in children’s hospices the means to communicate more effectively, be creative and to take control. Touch screen technology and “cause-and-effect” software enables children to “make something happen” themselves. This can be key to their personal development. Even children requiring the most intensive care frequently benefit from using new technology to express themselves. They love the sense of control which may be missing from their lives, and the effects enhance a short life which might otherwise be devoid of creative experiences. What Lifelites do complements the work of the children’s hospices, helping the children to escape their illness, and allowing their families to relax together in a home-from-home environment. Each Lifelites project aims to give children and young people in children’s hospices the chance to communicate, be creative and take some control in their lives. It is estimated that each children’s hospice sees around 200 children per year. Therefore around 800 life-limited and disabled children are expected to benefit from each project over the technology package’s four-year cycle. Every package costs approximately £50,000 over its four-year cycle.